Click to see ad, blurb and article. INNOVATION UNDER FOOT. Jorge Marquez, President of LONSEAL FLOORING, explains what makes Lonseal a reliable choice for yacht owners. 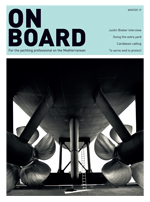 ONBOARD Magazine Winter 19 issue. Lonseal Aircraft Flooring featured in Aircraft Interiors International magazine 3 times! 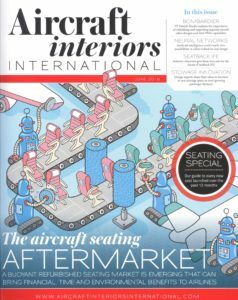 In the September 2018 issue of Aircraft Interiors International magazine, Lonseal aircraft flooring was featured 3 times. (July 2018) US-based Lonseal, Incorporated, a leader in resilient sheet vinyl flooring, is pleased to announce that Mr. Peter Padilla has accepted the role of International Sales Manager. Peter Padilla comes with a wealth of experience within the industry, having spent the last 10 years at Lonseal, Inc. in Carson, CA. Lonseal’s new aviation line LONCONTRAIL was featured in Aircraft Interiors International magazine. Lonseal was mentioned In RETROFIT Magazine as a source in the 21C Museum Hotel Durham project. The requirements for U.S. Coast Guard for U.S. Waters are defined in the Code of Regulations, Title 46 CFR, Part 164 and further clarified in Navigation and Vessel Inspection Circular No. 9-97 (NVIC 9-97). Lonseal marine flooring was tested per IMO FTP Code 2010 Parts 2 and 5 to ensure it meets requirements for smoke, toxicity, and flammability. Lonseal’s Notification Body, NKK (Netherlands), then certified that the flooring met the requirements of MED 2014/90/EU Modules B and D. The USCG approval was obtained through the Mutual Recognition Act (MRA) of 2004. NeoCon 2017 held in Chicago, IL from June 12-14 was a success! What was the most often asked question for Lace Greene-Cordts at NeoCon 2017? Lonseal’s Lonstage MT was mentioned in a Designer Forum article. (May 2017) US-based Lonseal, Incorporated, a leader in resilient sheet vinyl flooring, has announced that Jorge Marquez is the new president of the company which is located in Carson, CA. The prior president, Yasuo Sakka, will be transitioning into the position as the CEO of the company and assume executive duties at the parent company, Lonseal Corporation, in Tokyo, Japan. Business Jet Interiors featured a few of Lonseal’s Axis collection in their April issue. As a leader in resilient vinyl flooring, Lonseal® has been providing the aviation industry with unparalleled products and service for over 45 years. We modified many of our existing specialty flooring products to meet all applicable safety and performance aircraft requirements. The LONSEAL® AIRCRAFT FLOORING COLLECTION is an assembly of our most popular products specifically geared for aircraft use. Some of the features you will find in the collection are additional new colors, 6 & 8 foot wide roll availability, low VOC and REACH compliant. All product lines in the collections meet FAR 25.853a and FAR 25.793. Our Loncoin II Featherweight meets Boeing D643A504. Lonseal® became a leader in the aviation industry when we rose above the standards and launched our FEATHERWEIGHT formulation, which is more than 30% lighter than standard NTF aircraft products. Our materials light weight and our high strength-to-weight ratio are most often specified by many aircraft designers and airplane manufacturers. Lonseals aircraft construction is specifically designed to support the increasing demands of todays aircraft industry. LONSEAL® AIRCRAFT FLOORING COLLECTION is currently in production and will be available June 2017. Our distinctive selection of embossed and smooth designs comes in four collections: AXIS, CIRRUS, HALO, and MIRAGE. Business Jet Interiors International Magazine: Supplier Showcase article mentions Loncoin II is favored by single-aisle aircraft for it’s 8ft-wide version as it eliminates seams and joints. 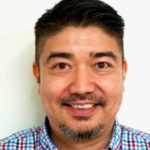 US-based Lonseal, Incorporated, a leader in resilient sheet vinyl flooring, has announced that Yasuo Sakka is the new president of the company which is located in Carson, CA. Featuring one of the warmest yet boldest palettes that Lonseal has ever offered, Londante is a resilient sheet vinyl that comes in seven intriguing colors and features a hypnotic cross-hatch pattern. Continuing the tradition of providing the marine industry with the finest resilient vinyl flooring options, Lonseal is transitioning production of all marine product offerings to MED-approved flooring. Continuing the tradition of providing the aviation industry with the finest resilient vinyl flooring options for 40 years, Lonseal is transitioning production of all aviation product offerings to be REACH compliant by January 1, 2015. 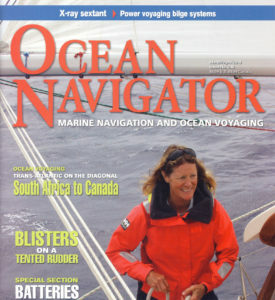 The September issue of Good Old Boat features an article by Art Hall about installing Lonseal’s Lonwood Marine resilient vinyl instead of replacing damaged wood flooring. 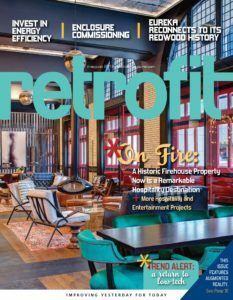 The August 2013 issue of Healthcare Design magazine prominently features one of Lonseal’s most popular resilient vinyl product lines on the front cover and in several photos in a featured article. 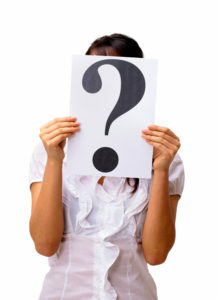 For those seeking an elegant weave look but wanting the maintenance ease of resilient sheet vinyl, the search is over. Presenting Lonseal’s newest offering: Loneco® Linen. Lonseal’s popular pre-applied urethane finish, Topseal, saves on all counts: time on maintenance, money on life-cycle costs and impact on the environment. And now, Lonseal’s most popular products–Loneco®, Lonwood Dakota and Lonwood Natural–come exclusively standard with this invaluable finish that protects the floor, reduces scuffing and simplifies routine maintenance. Extending its celebrated line of distinguished wood looks, Lonseal proudly announces its latest offering: Lonwood Madera. A wide-plank design in six lustrous colors, Lonwood Madera is a resilient sheet vinyl that features detailed graining that elegantly weaves around beautifully-rendered knotting. This extraordinarily realistic look is further enhanced by articulated plank lines resulting in a design that suggests the strength of old-world craftsmanship paired with the crisp, clean lines of contemporary living. With an exciting array of new nautical color combinations, Lonseal is proud to announce the expansion of its resilient vinyl flooring line for the boating industry. The new collection is called Lonwood Marine and includes eight products of various light and dark wood tones including Teak & Holly, Mahogany, Maple & Teak and Teak & Ebony. The June 27, 2011 episode of “HGTV’d” featured a young couple who were quickly outgrowing their house. They were looking to have their cluttered garage be transformed into a space where from which they could run their cooking business. Designer Jamie Durie utilized Lonseal’s Lonwood Natural #465 Rainfall to help turn the garage into an utterly unique kitchen and office. In its efforts to continually provide the best products, Lonseal, the leader in resilient vinyl flooring for over 35 years, is proud to announce two new sheet vinyl adhesive options. Lonseal’s Premium Bond #755 is a hard-setting, latex-based adhesive that boasts excellent “green” benefits, making it a worthy addition to the company’s ongoing efforts to supply the commercial interior industry with the finest eco-friendly materials. Lonseal, the leader in resilient sheet vinyl flooring, has added a FloorScore® certification to its list of third-party designations for promoting healthy indoor air quality. FloorScore® is the latest milestone in Lonseal’s longtime and ongoing efforts to manufacture quality products with minimal impact on the environment, and joins previous recognition from GreenGuard™ and the Collaborative for High Performance Schools (CHPS). (APRIL 8, 2010) Lonseal, the leader in resilient vinyl flooring for over 35 years, is proud to introduce our newest products for the aviation industry: Lonpetite and Lonpetite Eclipse. A twist on Lonseal’s pioneering line of coin-stamped flooring, Lonpetite FW features a matte surface with lighter embossing and smaller coin patterning for greater subtlety and more contemporary elegance. Lonpetite Eclipse FW features the same distinct embossing with the addition of a scattered flecking pattern for extra style and verve. 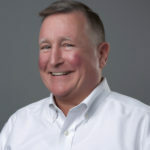 Lonseal, leading the vinyl flooring industry for three decades through technological, visual and textured innovations, continues its groundbreaking efforts with GreenMedic, a comprehensive environmental positioning that encompasses developments in eco-friendly products and anti-microbial product attributes without sacrificing quality, design or performance. The hip, urban flavor of Lonmetro UV, the latest offering in the Lonseal line of resilient flooring, fuses sassy colors with intelligent functionality. While the lively pigmentation of Lonmetro UV awakens creativity and inspires action, the UV nature of the product minimizes upkeep and maintenance. Revolutionizing the iridescent hues of our popular Lonfloor Galvanized series with the addition of a tough 100-micron-thick, factory-applied, UV-cured urethane finish, a breathtaking light-shifting range of 12 colors, and an increased size of metallic chip patterning, Lonnova UV presents a strong statement with three dimensional depths in its design.